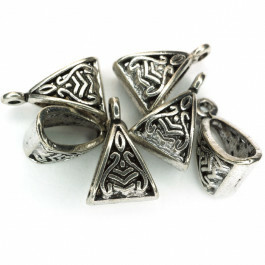 Pack of six antique silver colour Tibetan silver metal hanger beads. 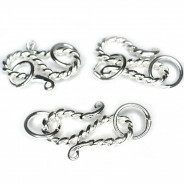 Size: 15.5x10x7mm, Hole Size: ~2mm. 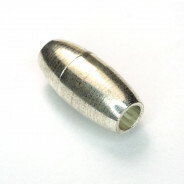 Metal beads can give a real visual impact to your fashion jewellery designs - from large focal beads and bead caps to tiny spacers, mix with semi precious stone, glass, wood or pearls - they go with anything. Tibetan silver beads are metal based and plated in silver colour. They are made of alloy and the main elements are copper, iron and zinc.